Cordwainers’ Hall located at 7 Cannon Street, was destroyed by fire-bombs on December 29, 1940, and in April, 1941. 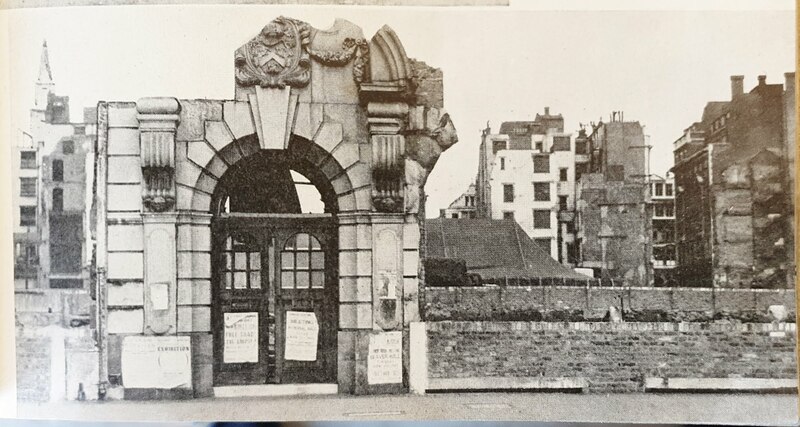 There is evidence of the Worshipful Company’s connection with the land on which it stood, in a grant to certain cordwainers in 1393, though first mention of a tenement called Cordwainers’ Hall is in a deed of 1440. The Company built what Stow termed a “faire new Hall” in 1557. This was destroyed in the fire of 1666. 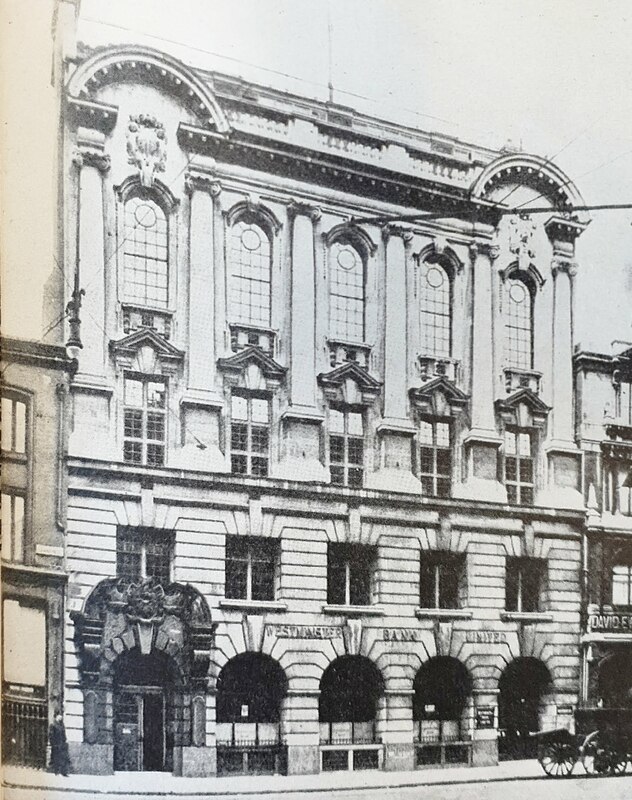 The building burned by Hitler’s fire was the sixth, built in 1909-10. In its large hall hung splendid paintings by C. W. Furse, A.R.A., and Isaac M. Cohen, of Joseph Chamberlain and Sir J. Austen Chamberlain, the latter in Garter robes. “Joe” Chamberlain’s great-grandfather joined the Company in 1739, and six members of the family served the office of Master. A cordwainer was a dealer in Cordovan leather, prepared with alum. The fraternity of cordwainers originally embraced most branches of the leather industry, and controlled the tanning of leather and the making of shoes in the City of London and an area of two miles around until the reign of William and Mary. Now the Company is content to encourage the efficiency in the industry through technical schools and colleges.